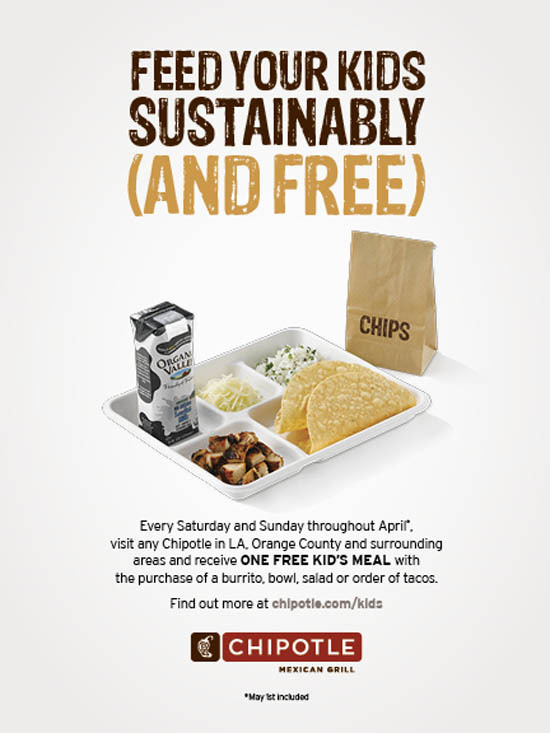 Fit Fluential Mom: FREE Chipotle Kid's Meals in April! 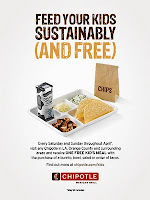 Every Saturday and Sunday throughout April (and May 1) visit any Chipotle in LA, Orange County & surrounding areas and receive ONE FREE KIDS MEAL with the purchase of a burrito, bowl, salad or order of tacos. Visit CHIPOTLE for more information or to see if the offer is available in and around your city.